for funding the acquisition of this aircraft. A3-16 was delivered from Avalon to Williamtown by Flt Lt A.M. Parer. The aircraft was the 6th Mirage delivered to 75 Sqn. (Source: 9) The ORB does not specify the exact date in this period (Friday-Monday). "The painting of aircraft fins in Squadron colours continues." (Source: 9) This would refer to the application of the so-called "dart" style tail markings. Available records do not show exactly when A3-16 was allotted to 76 Sqn but this was evidently in the period JUL-AUG66. A3-16 participated in this formation and one of the photos can be viewed here. The status card suggests that the aircraft was despatched to 75 Sqn but the following entry confirms that it was received at 76 Sqn. The above entry confirms that this was A3-16. The aircraft was not identified. A3-16 was used during the testing of the Karinga cluster bomb which was developed in Australia by the Defence Science and Technology Organisation (DSTO). Note: In this verbatim quote from the ARDU Unit History Sheets, the typed "moderate" is hand-amended to "major". The stripped fuselage of A3-16 was sighted along with other Mirage parts at Pearce Dunn's Warbirds Aviation Museum at Mildura. QAM paid a deposit on the aircraft having signed a bill of sale to purchase the aircraft from Classic Jets Fighter Museum. Ownership of A3-16 passed to QAM. The aircraft departed Parafield for Caloundra on two semi-trailers. The first truck carrying wings and other smaller components arrived on site at Caloundra. The second truck carrying the fuselage and fin arrived at Caloundra - on the 42nd anniversary of its final landing. Both trucks were unloaded and all components were moved into Hangar 2. When Australia became interested in the Mirage III, the current production model was the Mirage IIIE and this aircraft was to form the basis of the Australian Mirage. Obviously the Australian Mirage could not be designated IIIA as that was already taken, but why did Dassault jump ahead to O? The usual explanation is that O = Ostralia but this is not often documented. Waquet who invented this designation in a characteristic moment of humour. Bernard Waquet was Dassault's Deputy Export Manager. As a Commander in the Aeronavale, he flew Helldivers and Hellcats in the Indochina War. Knowing the sense of humour of Bernard Wacquet (sic), Dassault's renowned Mirage salesman, I do not doubt that it was he who suggested the designation Mirage IIIO, the O standing for Orstralia. Another variation on the theme is attributed to Monsieur Corantan who was the Dassault Tech Rep at Williamtown in 1970. 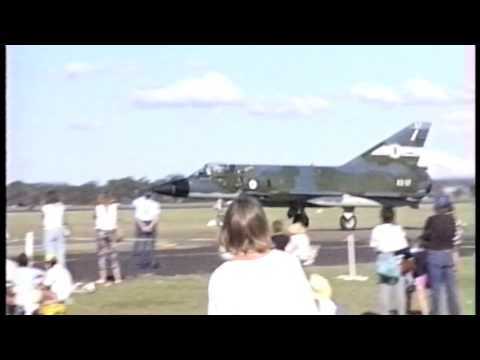 He stated that the company was going to identify the Australian aircraft as Mirage IIIE-AU but because of the French pronunciation of words ending in EAU, the designation was contracted to Mirage IIIO. Source: Wally Nelowkin, RAAF Flying Officer, Engineer Aeronautical (ENG AERO), OIC Mirage Servicing, 481 Squadron, Williamtown (from Sep 1969 to Jan 1971). 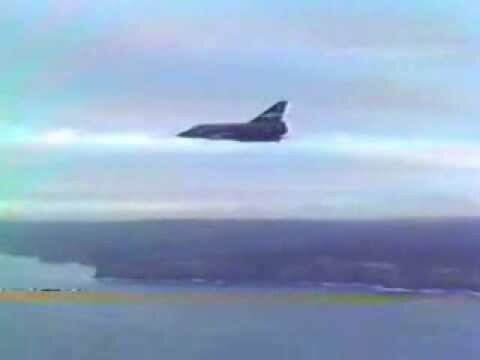 "The RAAF Mirage Story" by WGCDR M.R. Susans. Published by the RAAF Museum 1990. The Sydney Morning Herald of Friday 25 October 1974. "Mirage IIIO Colours & Markings" by Paul Mason and Darren Mottram. Mushroom Model Publications 2005. NAA: A9186. RAAF Unit History sheets (Form A50) [Operations Record Book - Forms A50 and A51] Number 75 Squadron Dec 61 - Jun 78. Commonwealth of Australia (National Archives of Australia) 2016. NAA: A9186. RAAF Unit History sheets (Form A50) [Operations Record Book - Forms A50 and A51] Number 76 Squadron Jan 60 - Aug 73. Commonwealth of Australia (National Archives of Australia) 2015. Note: From JUL69 to the last page in AUG73, little useful information is recorded and there is no mention of aircraft serial numbers. The Unit History Sheets in this period would appear to be a summary of the Flight Authorisation Book minus aircraft identities. NAA: A9186. RAAF Unit History sheets (Form A50) [Operations Record Book - Forms A50 and A51] ARDU Edinburugh Dec 60 - Jun 82. Commonwealth of Australia (National Archives of Australia) 2015. 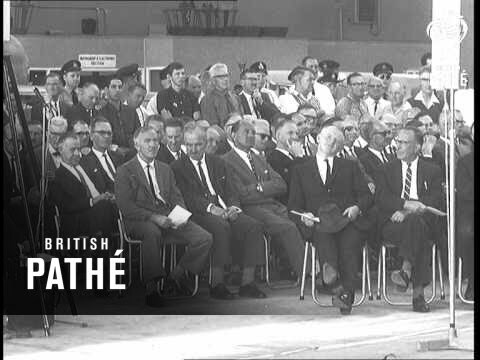 Dr Tony Butterfield, Senior Research Scientist at ARDU from 26JUL74. Jack McDonald: interviewed by Ron Cuskelly at Caloundra on 01JUL17. Added an image of the aircraft in 76 Sqn markings thanks to Nick Sayer. Added a reference to the aircraft having been purchased from the Commonwealth by Jack McDonald (Source: 13). Added an image of the aircraft streaming its braking chute. Thanks to Kym Manuel. Added an image of the aircraft sitting on the runway at Tullamarine. Thanks to Bob Jarrett. Added an image of the aircraft fully assembled and on display. Thanks to Angelo Calleja. Added five images of the reassembly thanks to Nick Sayer and Angelo Calleja. Added the departure date from Parafield. Added an image of A3-16 being pushed. Thanks to Tony Butterfield. Added an image of the aircraft being dismantled. Thanks to Bob Jarrett. Added an image of A3-16 carrying two Karinga cluster bombs. Added two images of the aircraft arriving at the CJFM thanks to Bob Jarrett. Added an image of the aircraft in a scrap yard at Braybrook thanks to an anonymous contributor. Added a recent image thanks to Nick Sayer. Added an image of a test nose fitted to an unknown Mirage. A3-16 was fitted with a similar nose at the time of its accident. The page on the wheels-up landing has been completely revised thanks to Nick Ford. Completely revised after access to the Unit History Sheets for 75 & 76 Sqns. Although the status card suggests that the aircraft returned to 75 Sqn after having been allotted to 76 Sqn, the Unit History Sheets indicate that the aircraft remained with 76 Sqn until allotted to ARDU in NOV73. Added date of transfer to QAM. Added an image of Operation Pacific Concord One. Thanks to Fairfax Media. Added a newspaper cutting of the wheels up landing. Thanks to John Best. Added three images of the unrestored fuselage thanks to Ashley Briggs. Added an image of the unrestored fuselage thanks to Greg Thom. The linked Specifications page has now been completed. Thanks to Don Cameron. Added an account of the last landing. Added a superb colour air-to-air image thanks to Roger Lowery. Added artwork of the aircraft with the Road Runner nose art. Special thanks to Juanita Franzi of Aero Illustrations. Added two new images thanks to ADF-Serials and Nick Sayer. Added an image of the aircraft at Amberley on 19SEP65. History revised after access to status card. Added a photo of the aircraft as "The Road Runner". Original issue. Special thanks to John Hopton for the images.